One May evening in 1914, an ordinary Londoner named Richard Hannay receives word of an anarchist plot to assassinate the prime minister of Greece. A few nights later, the eccentric American who revealed the conspiracy is found stabbed to death in Hannay’s flat. With only the dead man’s encrypted notes to guide him, Hannay must try to foil the assassination attempt while outpacing both the police and the conspirators, whose dastardly plans extend far beyond one Greek politician. 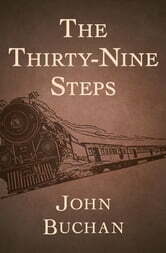 The fate of England, it seems, rests on one mysterious phrase repeated throughout the American’s notebook; just what exactly are the thirty-nine steps? Buchan’s groundbreaking novel, the first in a series featuring Richard Hannay, was adapted by Alfred Hitchcock and paved the way for Graham Greene, Robert Ludlum, John le Carré, and many other masters of literary espionage. 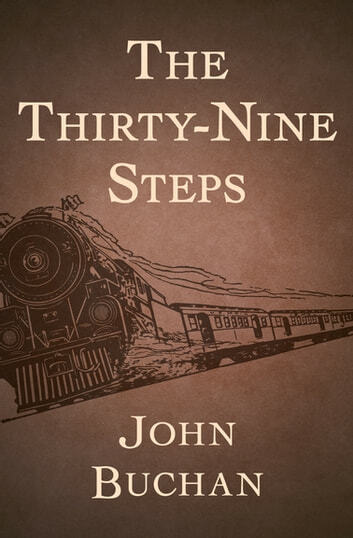 Lightning-paced, relentlessly clever, and politically insightful, The Thirty-Nine Steps is just as thrilling today as when it was first published a century ago.